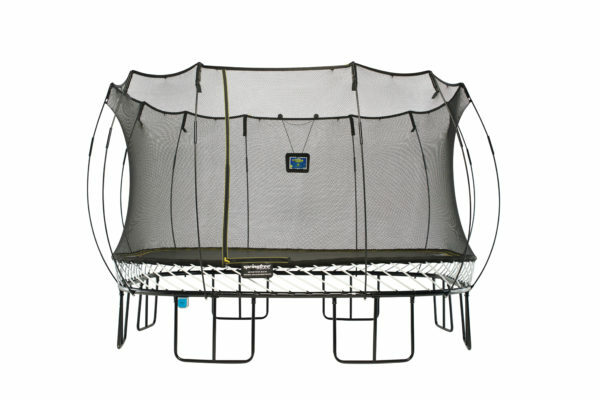 Our jumbo square trampoline has an energetic bounce for active jumpers and large families. 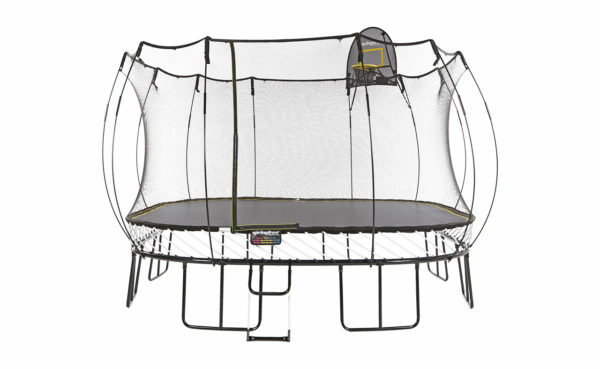 Whether it’s little kids learning their coordination, teenagers practicing moves, or mom and dad getting fit; this trampoline is fun and beneficial for every member of the family! tgoma turns your Springfree Trampoline into the ultimate interactive platform. With high-energy games, educational games to fitness training apps for adults and kids alike, your entire family will love to discover this new way to play! Springfree Trampoline is 100% spring-free! 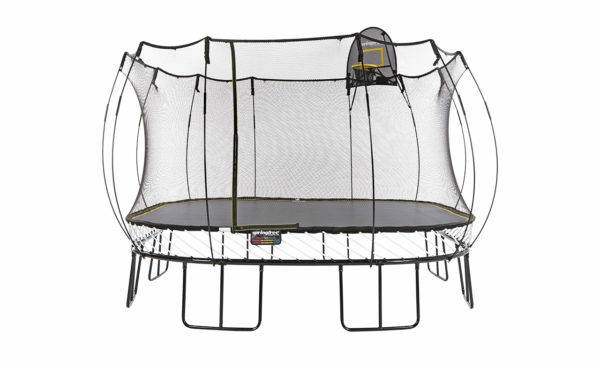 Finally an innovative way kids can experience the freedom to jump! The absense of springs means little toes are free to go where they want to go! 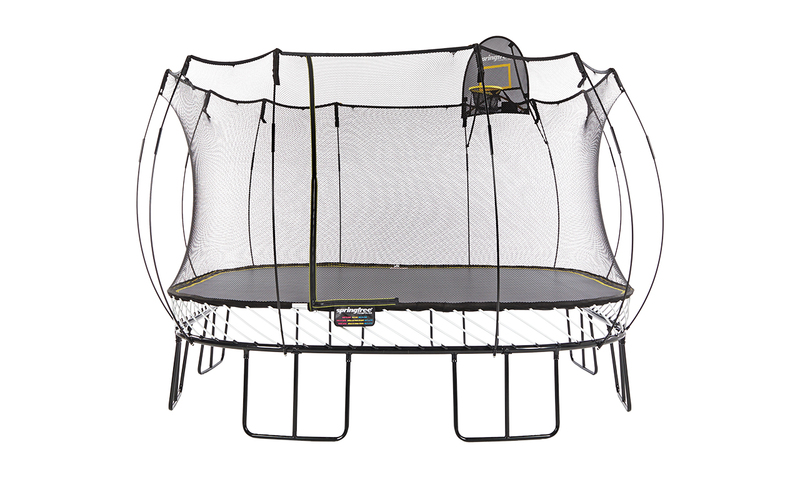 Our durable composite rods are safely located below the level of the mat and secrurely out of harm’s way. 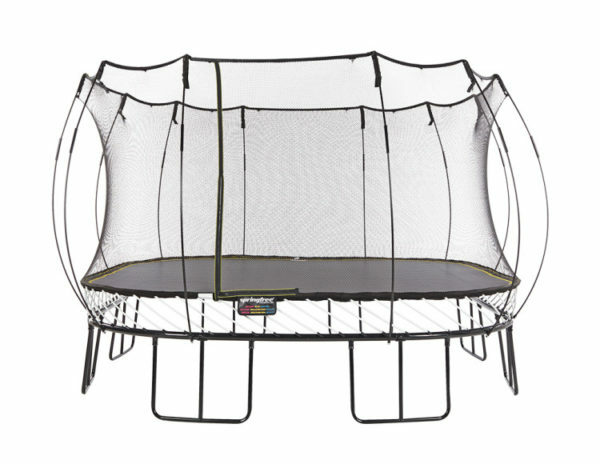 Our FlexiNet safety enclosure offers strength and cushioning so kids are always secure and safely remain on the trampoline. Wow! Soft-edges, pad-free and maintenance-free. Springfree Trampoline gives you the safety and quality your family deserves.